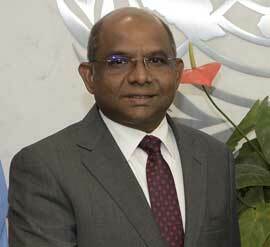 NEW YORK, Feb 21 2019 (IPS) - Maldives Foreign Minister Abdulla Shahid has reiterated his nation’s commitment to a “free and open” Indo-Pacific region and to democracy. During his meeting with Secretary of State Michael Pompeo in Washington Feb 20, Shahid “underscored the importance of his government’s reform efforts to (ensure) the vitality of Maldives’ democracy,” the department’s Deputy Spokesperson Robert Palladino said. The two leaders spoke of their “common interest in deepening bilateral ties between the United States and Maldives, and their shared commitment to a free and open Indo-Pacific region,” his statement added. Pompeo appreciated the Maldives’ commitment to judicial reform, transparency, and rule of law, Palladino said. Their statements on democracy and rule of law were a boost to the Indian Ocean nation’s fragile democracy. Maldives had fought back a challenge to its democracy in September when the opposition candidate Ibrahim Mohamed Solih assumed the presidency after defeating President Abdulla Yameen, who had declared a state of emergency and arrested Chief Justice Abdulla Saeed and Justice Ali Hameed when the Supreme Court overturned the conviction of nine opposition leaders, including former president Mohamed Nasheed. Yameen, who had moved closer to China and Pakistan, sent emissaries seeking support from them after the emergency declaration that India and the US criticised. China sent warships to the Indian Ocean region near the Maldives after the emergency was proclaimed in February last year. Beijing is also major investor and aid-giver to the Maldives. Palladino said that Pompeo undertook to work with Congress to provide $9.75 million in additional aid to Maldives. David J. Ranz, the deputy assistant secretary for Central and South Asian affairs, announced in December an aid package for Maldives comprising $7 million in military aid for maritime security and $3 million for supporting civil society and environmental programmes. According to Maldives Finance Minister Ibrahim Ameer, the country owes $1.4 billion to China. The State Department said that the Treasury Department would help the Maldives government with developing a debt strategy and with domestic debt management.